Because of the number of requests received, we inform you that your order will be processed within 180 days. We will send you an update at the time of shipment. 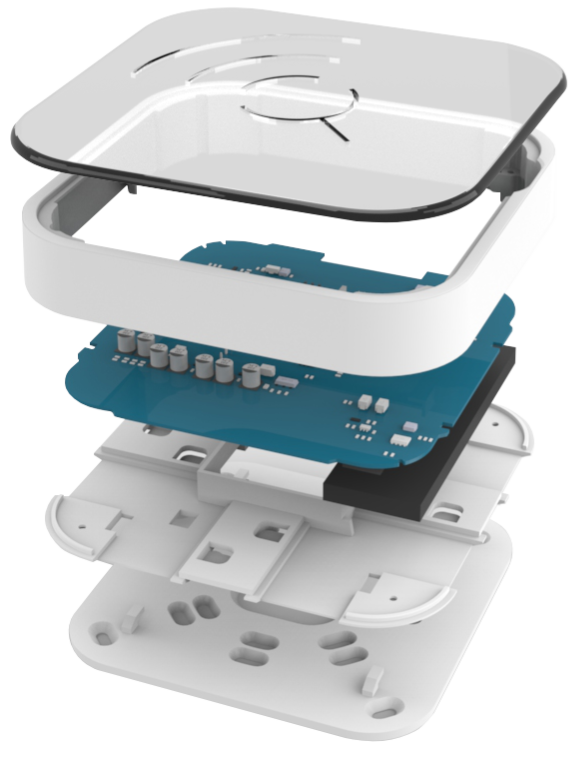 Lacentralina is a modular environmental monitoring unit completely manageable remotly, it can detect the presence of specific pollutants, relate them with the human presence and send those data via wireless, providing alarms in case of overexposure. In indoor spaces, it communicates directly with the building control unit to operate the air conditioning, opening windows or send reports to abnormal situations. It is perfect for monitoring the environment in homes built according to sustainable building criteria, in museums, to monitor production activities in small industries, medical laboratories or to highlight the quality of air in hotel rooms. The unit is also suitable for intensive use for monitoring, for example, of greenhouse cultivations, during restoration of cultural heritage. The control unit can monitor an area of about 30-50 m2. Only high-quality sensors are utilized for pollutants analysis. They are developed to last 10 years, after that period their accuracy could decrease. If you are a final customer, Lacentralina is guarantee 2 years. choosing this option you will get 1 year of remote support via phone, e-mail or Skype ensuring you the support of an aGrisù expert. Our experts will give you advices on how to correctly install you Lacentralina: best practices on where install it and how to connect it to the Dashboard via browser (www.lacentralina.info). Furthermore, our experts will support you detecting eventual misleading peaks in curves and their reasons. do you need other specific sensors? We will answer you with availability and price.